Life-sized statues of iconic comic book characters Hulk, Thor, Iron Man, Captain America and Spider-Man arrived at the shopping centre today, along with a rare first edition Avengers comic from 1963. 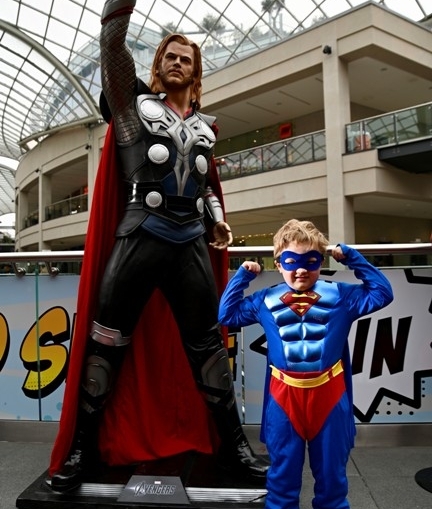 Fans who snap a selfie with their favourite character and share on social media using the hashtag #superheroselfie will be in with a chance of winning a VIP Avengers prize, including Everyman cinema tickets, Entertainer goodies and a Trinity Leeds gift card. Dan Wharton, marketing manager at Trinity Leeds, said: “The new Avengers film is an epic moment in movie history that’s been more than a decade in the making. The statues will be at Trinity Leeds until Sunday, April 14, and the comic book will be on display on April 11 and 13.